The Lyric Controller is compatible with wireless 5800 series Glassbreak sensors and SiX Series Glassbreak sensors. The Lyric Alarm has 3 possible ways of interfacing with glass break sensors - The SiX Glassbreak, the 5800 series Glassbreak or a wired glass break connected through the 5800C2W. The Controller is fully compatible with the new SiX Sensor line. These wireless devices are bi-directional, can be remotely programmed, have a 300 foot transmitting range and are fully encrypted with 128-bit AES encryption. The SiX Glassbreak shares all of these features in addition to having a 25ft protection range and a 5 year battery life with normal use. 5800 wireless devices are supervised, one-way, devices with a 200 foot operating range. The 5800 line has been around for many years and contains a robust selection of devices for many different applications. The 5853 Glassbreak has up to a 25 foot protection range and can be adjusted for 4 different sensitivity settings. The unit can be set to operate at a range as close as 5 feet from the glass it’s protecting. The Lyric Controller is compatible with all 5800 wireless devices except for those that require a House ID to operate. Two notable examples of these devices are the 5828/5828V wireless keypad and the 5800WAVE wireless siren. The 5800C2W is a wired to wireless translator. The unit has a standalone transformer and can have a 12 volt backup battery installed such as the Ultratec 1240. The 5800C2W can convert up to 9 hardwired zones into supervised wireless zones. Each of the zone inputs on the unit has its own unique serial number, which can be programmed into the system just like any other wireless device. 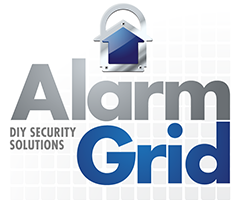 Any regular wired security device (life safety devices such as wired smokes, heats, or CO detectors are not supported) can be installed on the unit, including wired glass break sensors. The device has an onboard power feed for powered devices that provides up to 100mA of current.